Hello, Chocolate Box writer! Or should that be Chocolatier?! Thank you for being here! I'm not sure what fandom we have matched on, but I hope that you can find something here in this letter that appeals to you c: I'm Gargant, and can be found under that name over on AO3 as well! With this, as with all exchanges, the most important thing to me is that you have fun with whatever it is you create. Please consider this letter as a jumping off point, a source of inspiration, and don't feel restricted by anything I've written! Do not feel obligated to create something that doesn't interest you! I'm not very easily put off, honestly—the only hard no I have is detailed medical fic. But there's very little reason to believe these prompts would bring that up anyway! So that being said, here's some general points about what I like! I know now, without a doubt, that Kingdom Hearts is Light! Over the past four or so months I've been slowly playing my way through the Kingdom Hearts franchise! Well, that isn't strictly true. I've been making my way through the PS4 compilation, courteously loaned to me by my younger brother. It has certainly been an interesting experience! Some of my older feelings have been reinforced. Some of my feelings have been completely overturned. Here is a really quick rundown of my thoughts on each game so far. Kingdom Hearts - still the best. The battle system is basic, the camera can be murderous, but it has the simplest tightest story and a few really genuinely touching moments. It's just a lovely game, and it's remarkable to replay it when you know just how strange and bogged down the series has become. Kingdom Hearts: Chain of Memories - the beginning of the convoluted end for Kingdom Hearts, but despite everything I still have a soft spot for it. Feel like it worked better as a Gameboy Advance title. The battle system is interesting; I think I like it! Kingdom Hearts II - plays better than the first, has a much much worse story. It might be the most convoluted "complete" game I've ever been through. I ship Axel/Saïx now, which is infuriating. I still ship Maleficent/Pete more than anything, though, and this version of the game with all those extra scenes still doesn't give them a conclusion scene in the end credits and I'll honestly never forgive Square for this. And now I am playing Birth by Sleep! So far I've only completed Terra's story, and I'm sure I could say some things about that, but it feels like it might be worth waiting until I've seen it all through before trying to say too much more. All in all though, I'm really glad to have found myself revisiting these games—or in some cases, experiencing them for the first time. My faith in Square these days is pretty much rock bottom, so I won't be buying Kingdom Hearts III on release. 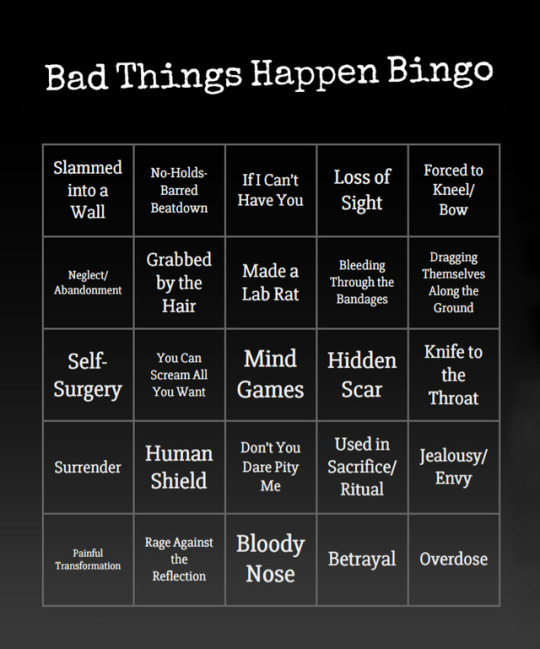 But y'know, I am going to play it. And much to my own chagrin, I have hopes and dreams for what might become of these people. Curse you, Kingdom Hearts. Maleficent/Pete better win the day is all I'm saying. When you have a bunch of ideas for things you'd like to do, but you have to go to work, you say to yourself, "If only I was sick today. I could get so much writing done, I could play a bunch of that game I've got on hold, I could finally watch the rest of that show everyone's on about", you know what I mean?? Well, turns out! That! When you're sick you actually can't focus on anything much at all! You'd really think I would have remembered that from a few years back, hahaha, but here I am sitting at home with the aches and the pains*, completely unable to devote myself to much of anything. So many grand ideas, and I can barely even focus long enough to finish a match of Overwatch, never even mind anything more taxing! Instead I think I might give in to evil and buy myself back some icon space. ALL MY OTHER ATTEMPTS AT RETURNING TO JOURNALLING HAVE BEEN DISASTROUS BUT I'M SURE THIS TIME WILL BE DIFFERENT??? clearly monetary investment is the correct answer. I logged into Love Live! 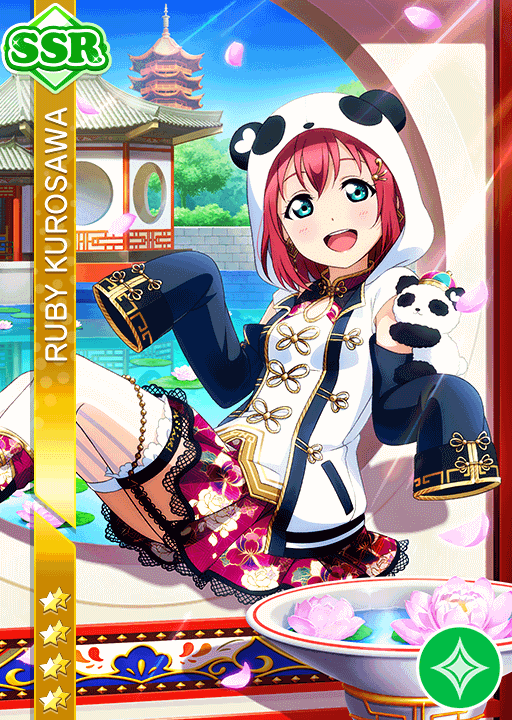 this morning all ready to try and get myself a copy of the cute and dopey panda bear Ruby SSR, but the EN release order has been changed and they've released the first half of the Universe set instead! Which I guess means they might be trying to align the China Dress set with Chinese New Year which MAKES A KIND OF SENSE, but darn it I was mentally prepared! Some day, Ruby. Some day. *note, I have mild flu symptoms, I'm not actually sick sick. THOSE DOG DAYS ARE OVER. ◘ comment fics, warnings for.... like, everything listed above, and potentially more. just assume the worst at any given time. Hello, Trick or Treater! Thank you for being here, and I'm so sorry if you saw this post back when it was still a placeholder—please forgive me! With regards to this exchange, the most important thing to me is that you create something that's fun for you. Consider this letter a kind of prompt list, but please don't feel restricted by anything I've written, or obligated to create something that doesn't interest you! I'm not very easily put off, and I'd say there's honestly very little that would really warrant a hard no from me. That being said, here's some general points about what I like! Hello writer! This is my first time participating in Yuletide and I'm a little bit nervous, so rather than too much preamble I'm just going to leap right into fandoms and prompts! Thank you in advance for your consideration, and I hope something in here works for you! If not, though, please feel free to write whatever speaks to your heart!! • Yesterday, in the general comments section of fandomsecrets there was a lively discussion about the merits of removing your shoes before entering your home. A lot of people had things to say, and I am absolutely ROLLING with confused laughter that this is such a major issue for people. I just had no idea it mattered to so many people what you do with your shoes! I especially love the exchange between the two people arguing about whether removing your shoes in someone else's home is the height of presumptuous rudeness on par with helping yourself to the food in their fridge, or if it's in fact incredibly rude not to remove your shoes and ignorantly track mud/dirt/germs into their home. I THINK IT'S THE GERM THING THAT REALLY GETS ME. "You've been outside! There are germs on your shoes! Leave them at the door!" Like, really? I hope you wash your hands after every single time you've stepped out of the house, then, because I am fairly convinced that that's where the ~true threat~ is going to linger. Most people don't go around licking the carpet or nuzzling the underside of their boots. Hands, though? Y'all gonna be touching everything with your hands. ANYWAY THAT'S ANOTHER EXCITING UPDATE, THIS IS GOING GREAT, it is quarter past three on my day off and although I have done some wonderful relaxing I am once again nowhere near writing anything. Should I try now, or just make this a lounging day and not stress myself out? Only time will tell. I'm a bit reluctant to go around announcing too much yet, because this would hardly be the first time I've had an idea and ultimately failed to follow through with it, but! I've decided to try and update this journal a lot more regularly, mostly as a means of getting myself a little bit more active online again. Let's keep this super simple though! Bullet points are fine enough, especially for right now when I'm tired anyways, hahaha. • To that end, I'm also looking for a new job. I'm really... physically and emotionally exhausted from working where I do at this point. It's never been what I'd call a dream job, but it's never been as bad as it is at the moment. There's a whole lot I could say and I don't really have it in me to do so, haha... but maybe sometime soon! At any rate, the quest for Better is under way. • So this hasn't been the most exciting update to introduce this whole exciting concept with, hgsjasdaj hahaha. But hey, I'm tired, and I'm already glad to have just written this little amount, so I suppose this was worthwhile. ... i'm excited to use my icons again though, hahaha. THAT'S THE IMPORTANT PART, RIGHT? OH YEAH, and public service announcement: Noah (2014) is a terrible film. Surprising, I know. Okay, so today I was looking at Tales of Symphonia fanart, because it is 2005 again and I am loving it. And among the various things that I came across, one image depicted Kratos and teenage Zelos at a graveside. And now I want to talk about things, and journal posts are a rare commodity so LET'S DO IT. LET'S TALK ABOUT THINGS ABSTRACTLY IN A JOURNAL ENTRY. This is something most like an announcement/explanation for colors_tcg, and something a little like a more general update about what is going on in my life. I am going to keep it pretty simple and brief! But first of all, if you happen to be reading this, thank you for taking the time and for your consideration. A lot of people have been truly wonderful to me in these past few weeks and it really means the whole world to me to be able to say that. Perspective is really valuable right now. So thank you! And we'll go behind a cut now, hahaha. So that's about it! I'm not going to close comments on this, but I'm absolutely not expecting any replies either. I just wanted to make sure everyone was clear about what's going on with me, and try to ensure people would understand if I'm a bit unexpectedly slow to respond to something, or what might be going on if my games are a bit delayed or whatnot. So thank all y'all for reading, and thank you again for your consideration at this tricky time! I HAVE RUN OUT OF THINGS TO SAY, TAKE CARE OF YOURSELVES YOU GUYS YOU'RE ALL COOL AND EXCELLENT. So you want to get some candy, huh? I'll keep it nice and simple for you guys, with just one simple requirement. Well you're in luck! Now's a really great time to join! If you join before June 1st (that's tomorrow! ), you'll get a totally fancy coupon just like this one that'll allow you to earn double prizes for the entirety of June. Double prizes is a great thing to start with! It'll let you start trading with people faster, allow you to increase your card collection and level up more smoothly, and it'll generally make Jessie very happy! LET'S BREAK THAT DOWN, SHALL WE? At colors_tcg you can play numerous simple games to earn yourself prizes, generally in the form of random cards. If you're lucky, you'll win a prize that's from a card deck you want to collect - hooray! If not, you'll still have increased your card count and increased the chance of someone wanting to trade with you. You don't want that card but someone else sure might! Trading is an integral and wonderful part of any TCG. There's nothing more satisfying than giving someone a card they really wanted, not to mention getting something equally special in return! Or else I'm just a big sap, but either way trading is a really significant part of why I've enjoyed colors so much. So play games, get cards, and get trading for the cards and characters you love! The games at colors are all really simple, and often pretty good fun! They can range from simple things like 'identify this anime character' (google images is your friend!) all the way to themed crosswords, image-based scavenger hunts, sudoku-type challenges - really all sorts of things! Some take more time than others, but none of them are what you'd call time-consuming and most importantly there are no activity checks. You can be as active or inactive as you like, as befits your lifestyle and level of interest. I'm not playing all the games at the moment, and that's fine! There are some players who don't play in any games at all and still manage to stay involved. Okay, so I could get a token. But why else should I join colors_tcg RIGHT NOW? Because it's a great community that's about to see a lot of fun activity, that's why! Colors is about to make the transition from Livejournal to Dreamwidth, and as such there are going to be a lot of celebratory events taking place. Heck, it's also the third anniversary, so there you go! Parties all round! In June there is going to be a special anniversary celebration. Every day a special discussion topic will be posted, and all you have to do is post a response. Simple as that! These are really great fun if you're a big nerd like me, because you basically get the chance to talk about stuff you really like and then you get to pick cards you want! With talkative fandom spaces on the decline I really love having the opportunity to talk about that one character or episode or series I really enjoy, and events like this really give you the chance. I love it, hahaha. And on a more obviously CARDS related note, the nice thing about events like this is that you generally get a lot of opportunity to pick your own prize within a set parameter ('any card ending in 03', for example). So it's a really great chance to go after decks you're lacking cards in or, for newer players, to kickstart their collections. July is going to see another big fun event as well. I'm not sure what I can or should say about it yet, but I will tell you that I, Gargant, am going to be a team captain. SO IF YOU WANT THE CHANCE TO JOIN MY COOL TEAM, COME AND JOIN COLORS NOWWWW. colors_tcg was my very first online trading card game, and it scared the bejeezus out of me. Absolutely flabbergasted me, I had no idea where to begin. And I wasn't wrong to be! It's a lot to take in at first. But this game is full of incredibly lovely friendly players absolutely delighted any time someone new joins. They will NEVER be annoyed with your questions because they will be too busy being giddy that you've decided to join in the first place. We love new people! And I personally love nothing more than trying to help folks out, so if there's anything that makes you wary or unsure then absolutely feel free to ask for advice! I assure you, though, that it all looks much more scary than it actually is. Really truly! And heck, I want to write a newbie guide anyway, so it would be personally helpful to me if you joined the game and said "OH NO HOW DO I DO ___??? ", hahaha. I want to know what is and isn't readily apparent to new players, so the more of you who join up and let me know, the better it'll be for me, and the better it'll be for other players in the future! All right, fine, maybe I'm convinced. But why do I have to join RIGHT THIS SECOND? You noticed that, huh? WELL. There are a few reasons I'm encouraging people to join ASAP. The most important ones are the reasons I've listed above. The June Double Prizes token is an aces opportunity not to be missed. The upcoming Anniversary Celebration is going to be really good fun and I think you all could enjoy it! But it's also just about Colors itself. This game used to be a lot more active, and even in the relatively short time that I've been playing I can see how it's gotten quieter. This TCG isn't going anywhere, do not be afraid! But all the mods, old and new, have really been pushing this recruitment drive aspect and I want to be able to do my part in that. If I can benefit the Colors community and play more games with my good online friends? Then darn it, that's something I'm going to do. Excellent, thank you, great choice, way to go! If you've decided to go ahead and join up, all you need to do is post a comment over here! Okay, well, you need to make a card post on either your Livejournal or your Dreamwidth and then you leave a comment over there. You don't need to make a magnificent card post right now! Just have someplace to link to, a place that will contain your card post, and that's good enough for the time being. MEET THE JUNE DEADLINE AND GET YOUR DARN TOKEN, then we can worry about getting you a fabulous card post, hahahah. Today's advent calendar post at colors_tcg asks for our experiences with OC's - original characters. Have you made any? Are they inspired by fandoms? What are they like? Tell us about them! WELL DO I HAVE ANY ORIGINAL CHARACTERS? YES I DO. Such that I have decided to just go ahead and type a post for this rather than trying to limit myself to a single comment. THIS IS REALLY FOR MY OWN AMUSEMENT I AM JUST A SILLY PERSON OKAY ANYWAY HERE WE GO, since there are eight random cards up for grabs from doing this I am going to limit this down to talking about eight different characters. This is a long overdue update about The Privilege of the Sword. It is going to suffer for my having taken too long about writing it up, sadly, and it is of course going to contain full spoilers for both this book as quite reasonably the one that came before it (Swordspoint). So be aware of that going in! why update, cos? cos? cos, why update? That all being said, however, I should really put some clothes on. Got a bit of time before I have to leave, and I don't feel like making lunch, haha. Means I'll have to cancel Poutine Friday, but what can you do? Here are some things I need to sort out. 'Before Friday' might actually be 'By End Of Friday', but we'll assume the worst case and go from there. • Download House S5: If I'm going to be offline for a while, might as well make sure I'm stocked on this side of things. • Start thread with Leonel and Helene: It's probably pushing things to say 'let's get the timeskip ready by Friday! ', but it would be nice to come back into things on the other side of that business. Certainly can make steps toward it. This might mean doing a short silly Xian and Siegfried post as well, depends on time and such I suppose. I would like that to happen, ha ha. • Purchase some shorts: yikes. • Purchase some appropriate wedding/summer shoes: Endless black boots forever is, in fact, not a flawless plan. alas. • Tidy room: Just because coming back to an untidy room is soul-destroying. And I am going to need all the help I can get, since I'm getting back at about 10pm Saturday and have to work at 10am Sunday (will have been traveling for about... well, twenty-four hours, more or less). I guess, to make this practical, I am concerned of it not going as advertised. I would really rather have room to talk and arrange before getting on a plane in August, haha. I'm sure I can go to the local library to send emails if I have to. This'll be okay. No reason not to be able to handle this, haha. Is. under control. ahhh. Today, I am feeling extremely shivery and unsure of myself. It feels like my heart has been beating too fast all day and I have no idea why. I haven't gone anywhere, done anything. I can't think of anything that should be making me anxious. But my body is twitchy unsettled and that seems to have dragged my mind along with it. Maybe it actually is the other way around - maybe something has unsettled my mind and my body is reacting to that. But whichever it is, I am tired of being curled and shaky but I feel like trying to do anything will set anxious body into some sort of overdrive. Quaking nervous feelings aside, I slept well. I was tired, so. I haven't done anything of merit at all so far today, though, so there you go. I wasn't feeling good yesterday either, curled and sulked and took comfort in food like a moron, I guess this might be something building. There's plenty of things I could do today. I could keep playing FFIX, which I have barely begun. I could keeping playing Radiant Historia. I could make a Games round-up post, as I have expressed interest in such before. I have posts that need doing, posts I would like done. I want timeskip. Hell, I could even just go do wiki things if I don't feel up to anything more substantial. I wish I could focus on something other than discomfort, hahaha. This is a gross and useless and disgusting journal update, apologies if you read it. This is a Radiant Historia update, because I would like to try and keep up with them! I have progressed both timelines into their third chapter, how to spoiler warn... in one timeline I am camping in a very pretty cave, the other I have not properly begun. Is that still too vague? Tough luck, we're going in, and the spoilers are HEAVY. This update feels much less intelligent than the last one, haha. I finished Final Fantasy VIII by the way! It was ridiculous until the very bitter end, but I enjoyed fighting Omega Weapon. Well this is another really long and silly update, haha. I'M CALLING IT A SUCCESS TBH. One thing with me and video games recently is that I tend to play them during my pockets of free time. "Gosh! ", I hear you cry, "How extraordinary and unusual!" What I mean is, I have less free time than I used to. I fill time with lover-kun and work and lover-kun, and I do still play games and it is great but I have fallen out of the habit of using any of my time to talk about them. This is a great shame, because I love reading back my feelings during a first playthrough of a title. So! At the moment I am playing Radiant Historia, and now I am going to talk about it. Later in this post I will also talk about Final Fantasy VIII, & probably a bit about work. WHAT AN ACTION-PACKED ADVENTURE.